Scooterlife.eu's primary goal is to provide the best price/quality ratio products to the customers. It took for us years to obtain the right to distribute the best brands from factories. Our helmet brands Momo Design, IDI, Moschino, Max and Premier are representing the latest European urban style. This style was born in Italy, because of the mass demand of high quality and innovative design city helmets. Helmet factories have been recognized the importance, that people in busy cities are using scooters to save time, gasoline and more importantly to have faster transportation than with car. 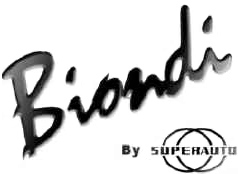 The Italian Premier was one of the first helmet brand in the world established in 1955 in Westminster California. They invented the full face helmet in 1961 and sponsored many motorcycle pilots on the World Championships. One their most famous 8 time World Champion is Phil Read. 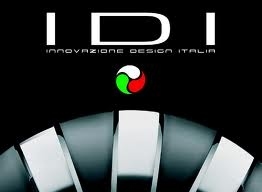 IDI, Moschino, Max, Social Network are top quality Italian helmet brands from the factory: Newmax. Newmax started to design and manufacture helmets in 197O. Nitro is an upcoming helmet brand from the UK featuring the best price/quality ratio motorcycle helmet on the market. Double visor system, removable and washable inner liner, Pinlock prepared visors are just a few from the innovations. The Macna motorcycle gears are currently the most sought after product among motorcycle clothing. The Dutch company is one of the biggest developer in the motorcycle clothing industry. Easy cuff, Summer Comfort System, (SCS) Direct Laminate (DL), Vision Vest, are the most well-known Innovations from Macna. Our most famous motorcycle fashion brand is the well-known Belstaff. Established in 1924 in Staffordshire England. Belstaff was the first company who used Wax Cotton, a natural material which is waterproof, breathable and has high abrasive quality. Charlie Boorman and Ewan McGregor the two devoted British motorcycle rider actors and iconic celebs used this brand on their journey to the southern tip of Africa. Stylmartin is our boots brand and is in the top five motorcycle and scooter footwear manufacturers in Europe. The name of Eddy Lawson (5oo cc World Champion in 1986) sounds familiar for every motorcycle riders. He has been wearing Stylmartin boots during his victories. Stylmartin keeps sponsoring riders. Efren Vasquez and Alex de Angelis are achieving remarkable successes in Stylmartin boots in today's competitions as well. You'll also find in our selection the Biondi scooter windshields and Tucano Urbano scooter leg covers, thermoscuds which are very important accessories in the cold and rainy weather condition riding scooter in the city. We have technical accessories for maintain your scooter during the off season, such as Baas automatic battery chargers, cigar lighter sockets or USB power outlets providing electricity from your motorcycle battery to your portable devices. Last but not least, we have our independent motorcycle and scooter service since 1997. You can get professional help to maintain your Honda, Kawasaki, Yamaha, Suzuki, Moto Guzzi, Aprilia, Piaggio, Vespa or BMW motorcycle and scooter.